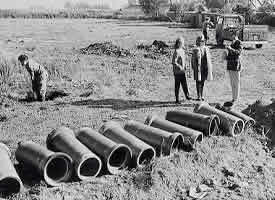 In the early 60's the vision of Ken Latham saw the transformation from waterlogged field to the first building of Lathams. 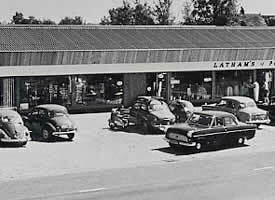 Since then Lathams has expanded to become the busy vibrant store you see today. 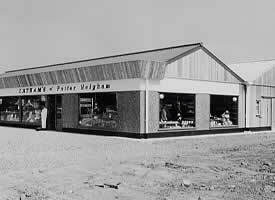 These fascinating collection of pictures charts the remarkable evolution of the store. 'X' marks the original plot of land earmarked for the Lathams site - a farmers field without any services or drainage. Work begins on the Lathams site with drainage systems being dug in to counter the often marshy conditions underfoot that close proximity to the river caused. 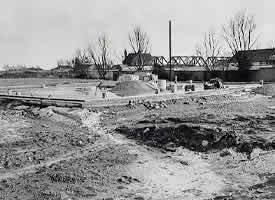 Work begins in earnest with footings and foundations beginning to take shape - local builders and engineers were used for the project. At last we can start to see the shape of the first buildings in the Lathams development (which still stand today!). The bike in the foreground suggests some local Potter Heigham labour and expertise! 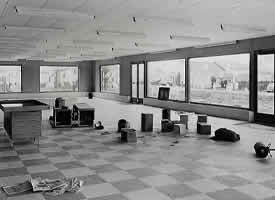 This is the interior of the very front of Lathams as it was being fitted out originally - visitors today will recognize the large display windows and entrance doors which have remained more or less as in this original position. 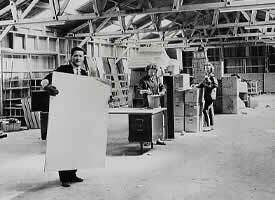 Ken Latham pictured inside the shell of one of the first buildings. Local people were employed from the very start of Lathams and unusually for the Broads, were employed all year round, not just during the busy summer months. 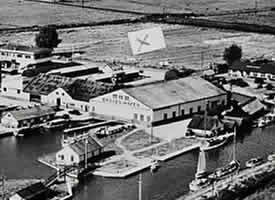 Winter work included making floats and lures for the Lathams Fishing Tackle Centre which established itself almost immediately as the fisherman's favouite on the Broads. 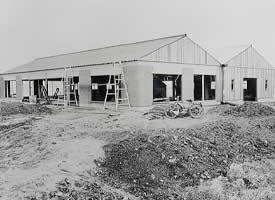 The original buildings are complete ready for their first full summer season on the Broads circa 1965. Open for business and busy as usual. Connoisseurs of classic cars will be able to spot one of the first VW Beetles, a Morris Minor and a Rover 2000 in the car park amongst others!). 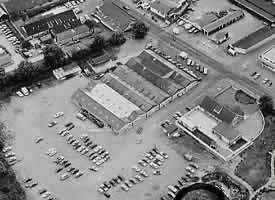 Aerial shot showing the original 2 Lathams buildings with parking to the front and rear. 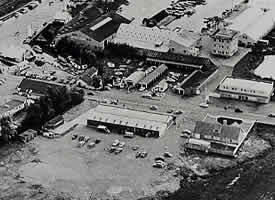 An aerial shot from the present showing the 4 additional buildings which have been added to Lathams since it's first incarnation.